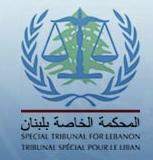 …and here we are, we asked for it, we got it; the Special Tribunal for Lebanon (STL) has just published the ‘secret’ details of the indictment of the suspects in Rafik Hariri (which were previously said to be Hezbollah members). It will be ‘interesting’ to see how the two sides March8 and March14 will study the details, but it seems for me that the indictment focused only on the phone calls data analysis. This means that despite the analysis work which makes perfect sense in the ideal world, Hezbollah has another excuse to deny the whole indictment. In other words, and as far as an internal consensus on the issue, we are going nowhere with this indictment. March14 was raising the expectation that the evidence will be more concrete than the calls analysis, and March8 had a big campaign to discredit any evidence that stands on the telecommunications analysis. Then the Telecommunications Minister Charbel Nahhas confirmed that Israel was able to infiltrate Lebanon’s mobile telecommunications network, and Sayyid Hassan Nasrallah kept saying that Israel bugged the mobile phones of Hezbollah members. The case against the Accused is built in large part on circumstantial evidence. Circumstantial evidence, which works logically by inference and deduction, is often more than direct evidence, which can suffer from first-hand memory loss or eye-witness distortion. I can imagine many people disagreeing with the above. The saga continues, and you can download the 45-page Arabic report here, or 47-page report English report here.